See how the threat intelligence experts of Talos joke their way through serious cybersecurity talk. "It's security geeks talking smack and dropping knowledge along the way–you learned something and didn't even realize it," says Talos Group Outreach member Mitch Neff, "Like Bill Nye but with security and beer." Like Bill Nye but with security and beer.Beers with Talos—a completely unbuttoned security podcast, referred to as "BWT" for short— are security and threat intelligence conversations with some of the most knowledgeable and charismatic experts in the field. In these hour-long conversations, the group has recently covered everything from the WannaCry ransomware to the "Security Summer camp" romp of the BlackHat and DEF CON conferences. The team believed there had to be a way to bring the often complicated and mysterious subject of threat intelligence to the masses. "Our blog posts with technical content can be pretty dry, and the actual importance is hard to convey," says Neff, "What we aimed to do with BWT is to take some of our team and put threat intelligence through that filter. We want to get away from screenshots of assembly code and tell people what it actually means for them." The personalities and characters within the Talos team make the idea of threat attacks less inconspicuous—it's cybersecurity made approachable. Talos is Cisco's threat intelligence group, an organization that helps detect and provide protection for cybersecurity attacks. "Cisco security products get their intelligence from Talos, we create the detection content shipped to every Cisco security device worldwide." says Joel Esler, a co-host of Beers with Talos. Because this team has industry-leading expertise about malware, vulnerabilities, and more, BWT resonates with a wide audience. The podcast also plays well with CXOs, technically skilled security folks, and novices alike. Neff is joined by Craig Williams, who is Talos' Security Outreach Manager; Talos Manager for Open Source and Education Esler; Talos Senior Manager of Threat Intelligence and Interdiction Matt Olney; and Talos Senior Manager for Operations and Vulnerability Discovery, Nigel Houghton. Neff is based out of Tampa, Florida, Williams in Austin, Texas. And while Houghton, Olney, and Esler are all based in Fulton, Maryland, each BWT member creates their own studio in their respective offices and homes. Physical distance doesn't create any awkwardness between this team. Most of the hosts of the podcast have known each other for more than 10 years. "I thought that doing this podcast with the Talos team would be a great way for us to stand apart from other security podcasts," says Neff, "With any podcast, it's not just about information, it's about the personality and presentation. We have a great group with a magnetic nature to keep people interested." The BWT team aims to make listeners feel like they're joining the security team for a chat in the office or to blow off steam at the bar after work. The informal, conversational tone makes the often-complex topics less arcane and stuffy. "For some people, threat intelligence and research is somewhat mysterious," says Neff, "So, when you hear people discuss it just how you and your buddies would sit around a bar and talk, it knocks some of that mystery off of it and makes it more understandable." This is the concept that the podcast realized quickly and put into action—their true nature of authenticity and unassuming intelligence. What comes with immersion in the cybersecurity industry is an understanding of the community–one that isn't much for overly corporate-speak. "We talk on the podcast how we talk to each other, and I think that's what people really appreciate," says Williams. "It feels real and authentic because it is. If you listened into a Talos team call you would hear a lot of the same things. People appreciate the less corporate type approach to it." The naturally unfiltered character of the cybersecurity field lends itself to BWT's tone. "You won't see a lot of insincerity in our team because we don't need to have it with what we do," says Neff, "Anything too ‘corporate' is met with a healthy dose of derision. Especially in our industry, people want to get the unfiltered real deal." "We take on some fairly complicated topics in an informal atmosphere, but precision of language is still important. We try to focus on clarity and avoid marketing buzzwords, but we do have to be nice to Mitchell," jokes Olney, "Otherwise he makes our voices sound like crap—he's petty like that." The Talos team as a whole is continuing to discover the latest and greatest—keeping ahead of any cyber-attacks. The team shares that sorting through 400 to 600 billion emails, 16 billion web requests, and 1.5 million malware samples daily is not uncommon for them. Backed by this massive telemetry capability along with net-new research and valuable intelligence partnerships, Talos has vast visibility into events around the world and how attackers are targeting their victims. With their enormous spam collection network and threat traps (honey pots, sensors, and other systems made to appear vulnerable to attackers), Talos has telemetry on a massive amount of data. 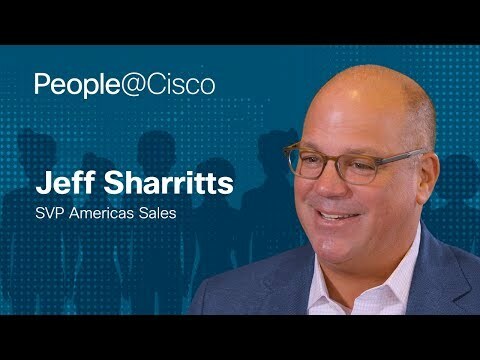 "We want to make sure everyone has some visibility to things we're working on so that they can stay informed as well," says Neff, "At Talos, we want to make Cisco a household name in security. This is an era where cybersecurity is king, and we are making big strides. When a threat is discussed, we want people to go to talosintelligence.com to find out what's really going on." BWT also has big plans for the future. With the series already finding such great success, the team plans to bring on more external guests that the cybersecurity-minded will recognize, as well as possible live shows at security events in the future. If blocking 20 billion threats daily and staying ahead of global ransomware attacks wasn't enough of a day job, the BWT team plans on increasing the cadence of episodes, as well as exploring other content avenues. To learn more about Cisco's threat intelligence team, check here. Of course, keep up with Beers with Talos on their podcast page here, you can subscribe via iTunes or Google Play.